It is difficult to believe that over a decade has passed since the 9/11 attacks, in which nearly 3,000 innocent people died in four coordinated suicide attacks perpetrated by al-Qaeda. The United States reacted by invading Afghanistan and declaring war against the Taliban, an extremist Islamic terrorist movement, which had harbored al-Qaeda. One of the more extraordinary aspects of the attacks is the connection with Israel. In 2004, al-Qaeda’s leader Osama bin Laden blamed the United States’ support of Israel as one of the causes for the movement’s terrorism. However, the fact that the majority of the Taliban, who make up the backbone of al-Qaeda, themselves claim Israelite origin, is relatively unknown. 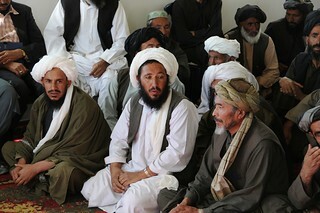 The Taliban operate in Afghanistan and northwestern Pakistan. They are fundamentalist Sunni Muslims, who wish to impose their brand of Islam and their interpretation of Sharia law on others. They despise western democracy and secularism, are notorious for their treatment of women and ferociously oppose the US and Israel. The Taliban are largely made up of members of the Pashtun or Pathan tribes, who constitute the largest single tribal grouping in the world, numbering over 15 million. They are divided into distinct local tribes reminiscent of the names of the Lost Ten Tribes of Israel. According to the Bible, the Ten Lost Tribes were taken captive by the Assyrians in the eighth century BCE, while the inhabitants of the kingdom of Judah remained in Israel. The Ten Tribes were exiled to “Halah, Habor, the cities of Medes and the River Gozan”, in the very geographical and cultural area in which the Pashtuns live. The fate of the Lost Israelites has always been something of an enigma, and discussed throughout the ages in the Talmud and other Jewish texts, but Jews and Christians alike have generally believed that at the “end of days”, they would eventually be reunited with the descendants of the tribe of Judah. 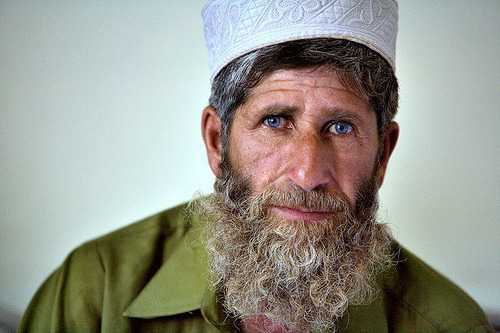 In a recent email from a member of the Pashtun tribes, the enquirer (anonymous for obvious reasons) wrote: “I have always been curious about my ancestry… I was told very early on in my life that we are like the Jews and that our customs and rituals are the same… I would be amazed to find out whether there is a gene link in my ancestry to Israel”. The Pashtun, even if they are virulently anti-Zionist, accede that they are the “sons of Israel”. When I interviewed members of the Yusuf-Zai (sons of Joseph) tribe years ago in the orchards of Kashmir, they related their origins with pride. Even today, many Pashtun agree that they are Israelites, even if they generally disassociate themselves with the modern state of Israel. According to Pashtun tradition, King Saul bore a son by the name of Jeremy, whose birth is not recorded in Jewish texts. Jeremy fathered a royal prince called Afghana, whose descendants fled to Jat in Afghanistan. In 662 CE the descendants of Afghana were converted to Islam at the explicit request of Mohammed. The mission was accomplished by his emissary Khalid ibn al-Walid, who returned to his master with “proof” of his activities — 76 converts and seven leaders of the “Children of Israel”, including a descendant of Afghana named Kish. Kish subsequently changed his name to Ibn Rashid, and he was entrusted by Mohammed with the task of spreading the Islamic word. Many of today’s Taliban terrorists claim descent from Ibn Rashid. For some, the Pashtuns’ ancient code of hospitality, known as Pukhtunwali, by which generosity (khegara) and protection of guests are paramount, is sufficient proof that they are affiliated with Israelites and hence Jews. This code lays down the guiding principles behind the Pashtuns’ refusal to give up bin Laden, who sought sanctuary in Pakistan, until he was eventually shot down by U.S. gunmen in May 2011. Similarly, al-Qaeda’s second-in-command, Atiyah Abd al-Rahman, killed by U.S. forces on 22 August 2011, had sought refuge and was operating out of traditional Pashtun territory in north Waziristan in Pakistan. Like the ancient Israelites, revenge (badal) is one of the driving forces of Pashtun society. If attacked, or pride wounded, the Pashtun, who make up the rank and file of the Taliban, will partake in a jihad (holy war) against the invaders. They succeeded with the British in the 19 th century. They repulsed the Communists; and they are still resisting the American coalition. The older generation of Pashtun did not hide the fact of their Israelite descent, but recently some (though certainly not all) of the younger generation have suppressed this fact, which could render them highly unpopular in the present political constellation. Dr Shalva Weil is a Hebrew University anthropologist and a specialist on the Ten Lost Tribes of Israel. This article was reprinted with permission from ISN.